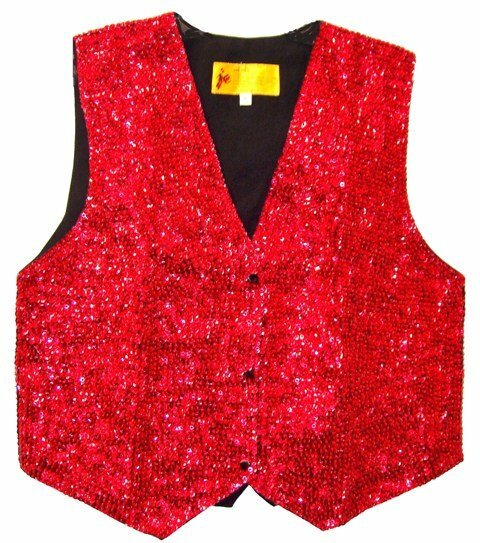 This beautiful sequin vest is made of black fabric covered with individually hand sewn sparkling sequins. The back shell is made of 100% polyester and the front shell is made of 100% cotton. There is an adjustable belt on the back of the vest. A timeless piece that can be worn in many ways and enjoyed in the years to come! This vest comes in size L only.